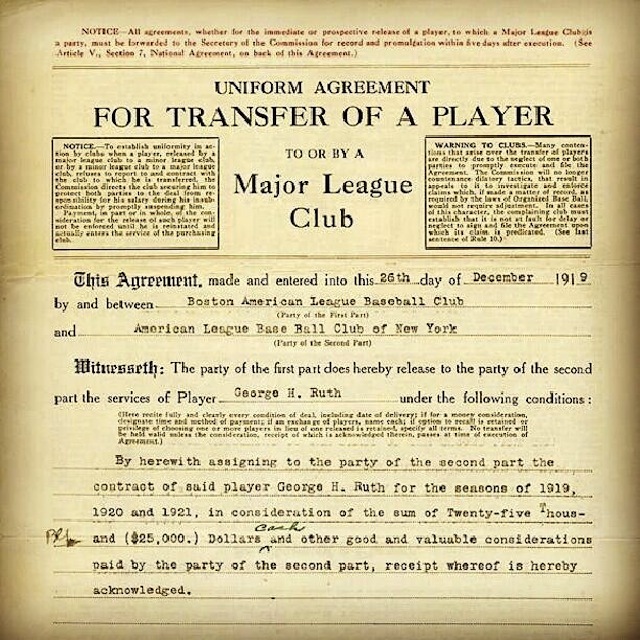 Check out the binding document that sent the great Babe Ruth out of Boston on Dec. 26, 1919. File under: Decisions that proved substantially regrettable from the standpoint of the Red Sox. The sale of Ruth to the Yankees was announced after New Year’s 1920 and although it was big news, public opinion in Boston was divided. 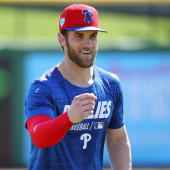 Many fans were aghast that such a talent would be cast off, while others, including many former players, insisted that a cohesive team (as opposed to one egomaniac plus everyone else) was the key to success. More spectacular than useful indeed. Famously, the Red Sox, who won the World Series with Ruth in 1915, 1916 and 1918, wouldn't prevail again until 2004. Meantime, the Yankees with Ruth would in 1923 win their first of 27 World Series titles.